I've had a lot of fun using long lens compression to make the moon appear larger in a lot of photos lately. This time, I wanted to try something different. 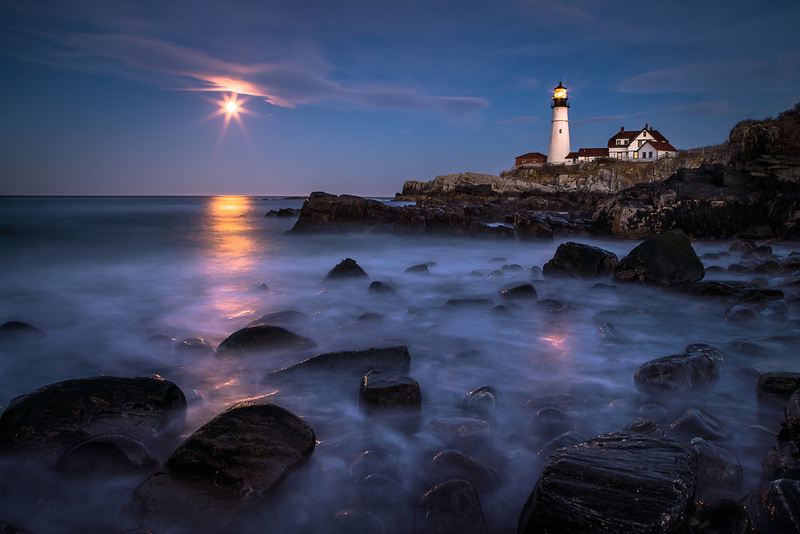 I used a 24mm wide angle to capture the feeling of being there, standing in the surf along the rocky beach below Portland Head Light as the full moon reflects on the water. I hope you can feel it.